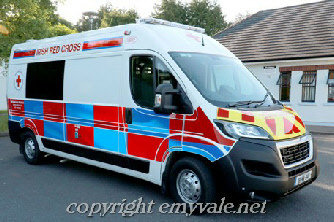 The Monaghan Red Cross has purchased a New Ambulance, thus increasing the number of vehicles in Monaghan town to two. 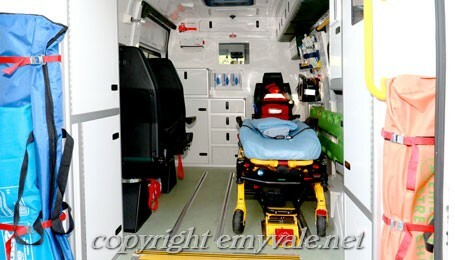 The existing Ambulance was put into service in 2002 and has been of great benefit to many over the years. 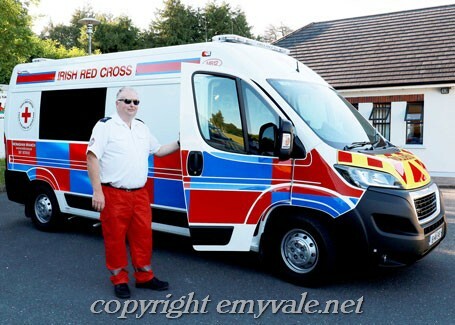 However in recent times the need for the Red Cross has increased and on many occasions the Monaghan Unit needs the second vehicle in order to cover two events simultaneously. 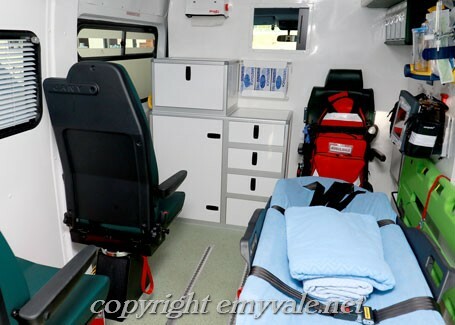 The demands of Health and Safety would now require such assistance to be present when a public event is being organised and where sudden emergency medical help might be needed. 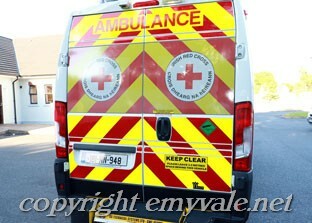 Added to that is the fact that the Minor Injuries Unit in Monaghan is only open from 9.00am to 5.00pm, Monday to Friday, and the need for emergency help very often increases during evening and at weekends. 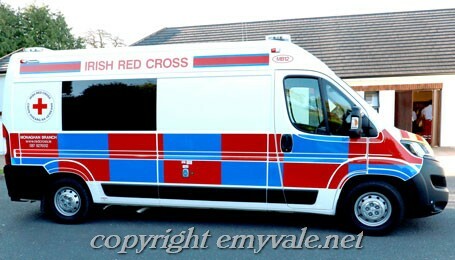 Organisers of events are conscious of having emergency help close at hand and so the demand for the Red Cross has increased considerably. 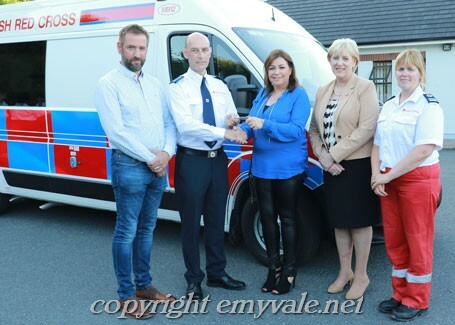 It is a voluntary organisation and depends on the public support and donations for its survival and the Monaghan Unit has been saving money over the past ten years to be able to purchase this new ambulance. 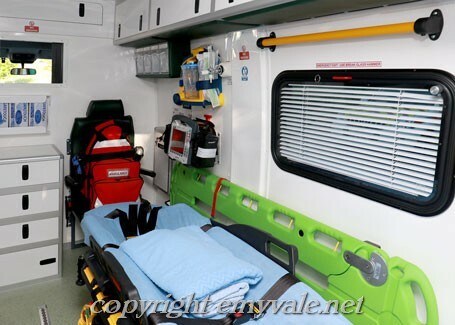 It has been a great struggle but one that Michael Gissane, the Monaghan chief, decided was necessary and he would not give up on getting there eventually. 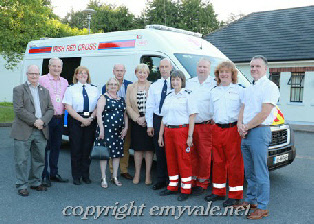 On Friday evening, June 29th Noelle from Flacks Garage, Monaghan, handed over the keys of the new and fitted out Ambulance to Michael at a small ceremony at Teach na nDaoine in the presence of Minister Heather Humphreys and the National Chairman of Red Cross, Pat Carey, together with other officials from Red Cross. 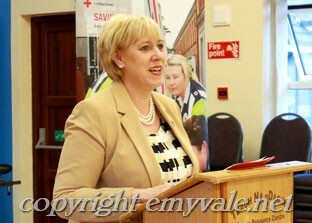 They were joined by the members of the Carrickmacross Unit with whom they have a close working relationship. 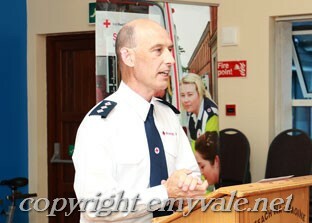 The local Civil Defence was also represented at the event. 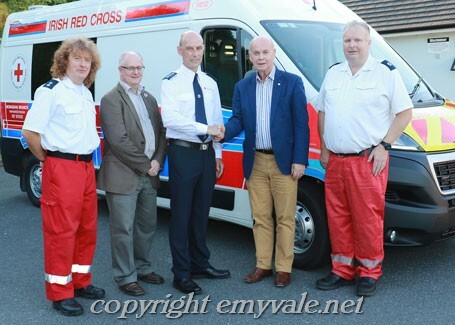 Great credit must go to Michael and the other volunteers, present and past, of the Monaghan Unit for their work but also for raising the necessary funding to purchase the second Ambulance and the Monaghan people are the beneficiaries and the Unit will now be able to cover two events at the same time and have an ambulance present. 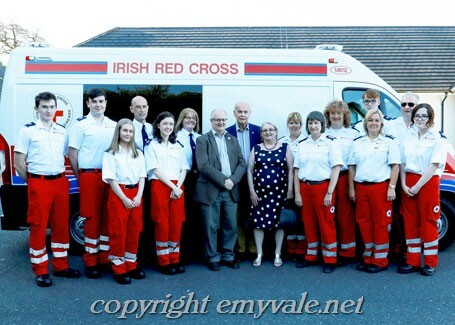 Emyvale has two excellent volunteers in the Monaghan Unit - Irene and Barry Kerr - and if you would like any further information about their work you can contact any of them.